A former head of security for pop singer Rihanna will go on trial in May accused of harassing a garda in Dublin. Geoffrey Keating (39), allegedly sent messages to the garda sergeant using the Viber app after being given his private phone number. Keating, of Woodbank Drive, Finglas, had pleaded guilty earlier to one count of harassing Garda Sergeant Brendan Carey from the accused's home address on August 21 last year. However, his guilty plea has been vacated and he has changed it to not guilty. Judge Anthony Halpin agreed today that an accused may change a plea if sentencing has not yet taken place. He ordered that his trial, which is expected to last one day, at Dublin District Court will take place on May 8 next. Mr Keating told the court he had obtained evidence under the Freedom of Information Act. There are to be 17 prosecution witnesses and the judge noted that the defence will call two witnesses to testify during the trial. There will also be a video of a Garda interview. The case will be listed again for mention in April to ensure the trial can proceed on scheduled date. A complaint made by Mr Keating to An Garda Siochana Ombudsman Commission (GSOC) was “not to his benefit,” his solicitor Michael Hanahoe told the court today. Det Sergeant Gavin Ross of Finglas has told the court the offence happened on August 21, 2016. A file was sent to the Director of Public Prosecutions and directions were received on October 9 that year. On November 20, 2016, Mr Keating appeared on the charge at Blanchardstown District Court and he appeared there again on a number of occasions. Keating required a hearing date, meaning he was then contesting the charge. The case then moved into Dublin District Court in the Criminal Courts of Justice building in the city centre. He was due to face his trial there on September 5 last but Mr Keating did not appear and a bench warrant was issued for his arrest. Det Sergeant Ross said that warrant was executed on September 19 last and the case was put back to October 10 when he pleaded guilty. It was adjourned for a week and a probation report was ordered and it was put back until December for sentencing. The court heard that the case had been then adjourned until today when Mr Keating changed his plea back to not guilty. 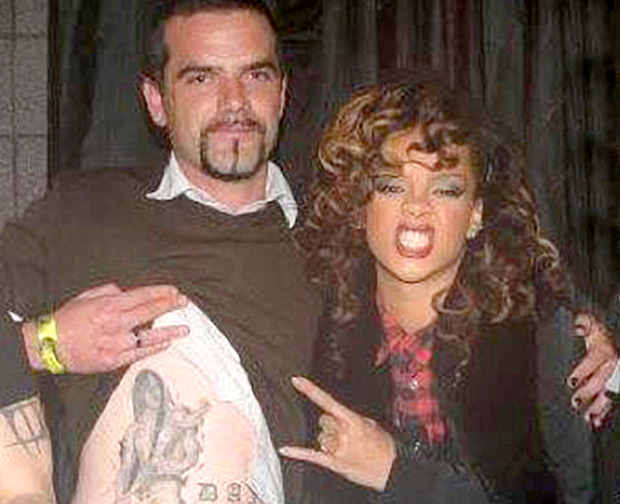 Bodyguard Keating worked for Rihanna in 2012 and 2013.